Okay, 2018 was quite the tease in the housing market. The year started out hot, only to taper off halfway through. But plenty of Americans still traded their For Sale signs for Sold ones, and they’ll usher in the new year from the comfort of their new homes. So will 2019 bring more of the same results? How will the housing market shake out in the current economic climate? 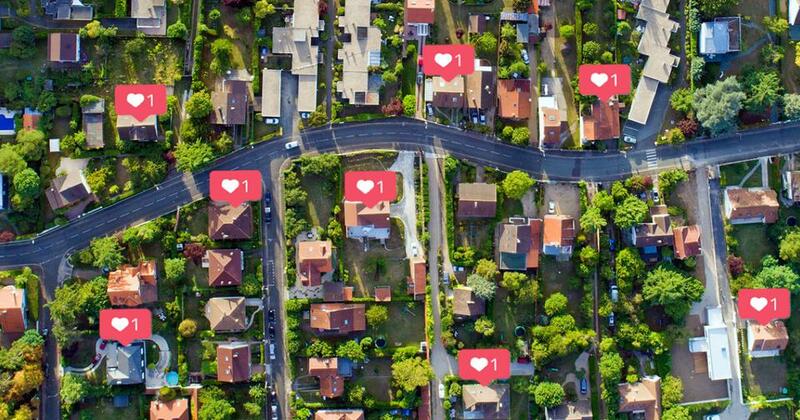 Whether you’re selling, buying or staying put, here are the 2019 real estate trends you need to know! What’s the reason? Well, part of the slowdown is due to increased mortgage interest rates and another part is because of overall economic uncertainty. That combination is enough to discourage many buyers who are on the fence about purchasing a home. But there are still eager buyers in the market, and many of them are looking for newly built homes. In fact, new home construction is projected to increase by 8% in 2019. (2) That’s the good news. Here’s the bad news: There just aren’t enough new homes to go around in some areas. Plus, construction companies also don’t have the manpower to keep up with demand. What’s the bottom line? Expect the new construction that is available to go for a higher price. A nice profit may be on the horizon! The number of homes sold next year is still expected to rise, even if it’s at a slow pace. That’s great news for sellers! But keep in mind that a lot of buyers are being priced out of the market, which could lead to fewer offers for your home. So what should you do about this? Be aware of your competition. With less offers to go around, you want your home to really stand out from similar ones in your area. Prepare your home for potential home buyers and work with a real estate agent to help you list your home at the right price. And be sure to wait for the right offer. Some buyers may try to gut punch you with a low number. If you aren’t in a hurry to move, wait for an offer that gives you the most profit. Remember, the less desperate person always has the upper hand when negotiating! If you’re going to buy a home in this expensive market, you absolutely must find out how much house you can really afford. Crunch the numbers yourself with our free mortgage calculator and figure out a monthly payment your budget can handle. Commit to staying within that budget amount. Don’t rush into a home purchase that doesn’t make financial sense for you no matter how much pressure you feel watching competitors pluck good homes off the market. You could screw up your finances! Keep saving. If you stay patient and motivated, you can save for a five-figure down payment by this time next year. Sacrifice some wants. If you can’t afford to buy the house you want, be willing to give up some “nice-to-haves” for your “must-haves.” Find the least expensive home in the best neighborhood you can afford and you can upgrade as your income and savings increase over time. Expand your search. What if the location where you’re planning to buy is what’s busting your budget? You might be surprised at the gem you can find in a less popular neighborhood. Getting connected with a real estate agent who really knows the area is the best way to find a home that fits your budget and lifestyle. Buying a home can be stressful, but our Home-Buyer’s Guide will streamline the process! It’ll help you think through all the important parts so you can rest easy when your dream home is officially yours. Mortgage interest rates are on the rise after years of being at a standstill. Interest rates are projected to increase to an average of 5% for a 30-year mortgage and 4.4% for a 15-year mortgage. It’s been seven years since mortgage rates were this high. But despite grumblings, that doesn’t mean the economy is in trouble. It actually means the opposite! To help stabilize the strong economy and rising inflation during the past few years, the Federal Reserve increased short-term interest rates. It’s somewhat natural to see a trickle-down effect to the bank level like what we’re seeing now with mortgage interest rates. The increase basically means more people are willing to spend and borrow. Still, expect things to be a little different next year as buyers and sellers adjust to these changes. In a nutshell, plan for your house to be on the market a little longer and prepare to possibly receive fewer offers. A mortgage is a big commitment, and adding higher interest rates to the mix will make many buyers pause. Partner with a real estate agent who understands the current market. They’ll help you set expectations for how much you can make, and how long you’ll have to wait for the right offer. Even though mortgage interest rates are the highest they’ve been in a while, they’re still relatively low. If you’re not buying with cash, be smart and go for a conventional 15-year fixed-rate mortgage. That way, you know exactly what your payment will be over the life of the loan. In 2019, millennials will lead the way in number of mortgages, accounting for 45% of the market. They’ll be followed by Gen Xers at 37% and baby boomers at 17%. Easy online shopping. The home search starts online for millennials, so you need to make the best possible impression on the internet. Make sure you invest in high quality photos, and, for extra measure, consider using a drone to take aerial video footage. Quality over size. Yes, square footage matters. But millennials are more concerned about how sustainable and usable each space is. Get rid of your junk so they can visualize a bright future in your home without your stuff there. Location. A lot of millennials are looking for homes in 18-hour cities like Nashville, Tennessee, or Austin, Texas, that offer big city life at a more affordable cost of living. If your home is in a walkable area with access to public transit, expect millennials to come knocking at your door. Low-maintenance lifestyle. Millennials are used to living in the age of high-tech advances and Amazon Prime. They’re looking for energy-efficient homes with smart appliances. If you don’t have them, they’ll look elsewhere or lower their offer so they can upgrade after they buy. Know what you want. Decide what you absolutely need in a home. If you’re married and house hunting, you and your spouse need to agree on must-haves. Compare your individual lists and combine them for your real estate agent to use as the foundation of your home search. Hire an experienced pro. Last year, 90% of millennial home buyers used real estate agents to purchase their homes. (6) Think they’re onto something? You bet! Don’t try to buy on your own. Get the help of a pro so the home-buying process is smooth for everyone involved. 1. Equity will likely continue to increase by 2–6% each year until 2020. With most housing markets at low risk for a downturn, the 2018 Housing and Mortgage Market Review estimates home prices will continue to rise for the next couple of years, with annual increases of 2–6%. (7) Who-hoo for sellers! If you sell your house before 2020, you’ll likely still make a great profit. Continue to monitor how much your home is worth to make sure your equity (what your home is worth minus how much you owe on it) is going up. 2. From what we can see, the real estate market is not going to crash. 3. Regardless of your neighborhood, buyers are interested. There’s a low unemployment rate and new career opportunities. All-cash real estate buyers (our kind of people!) are becoming more common. Fewer buyers are using interest-only home loans (aka the worst loans possible) that allow you to pay just the interest each month and not the principal. Even though buyers in 2019 may be choosy, determined ones might be willing to consider neighborhoods that don’t have easy access to highways or aren’t in close proximity to a big city. If you think you live in an unpopular neighborhood or believe your home isn’t what buyers are looking for, think again. Now may be your perfect time to sell. Our real estate ELPs are professionals who’ve earned Dave’s seal of trust. Contact Yesenia Today!